We are living in the fashion world which is very important for everyone and it becomes infatuation of every people. William jackets have introduced the Ben Affleck live by night jacket from the inspiration of the crime drama film Live by night which is worn by Ben Affleck. The material is top quality PU leather which is used in it. It has an inside layer of lining made of soft rayon. It is available in fabulous black with unique designing. It has two slanted midriff pockets. The length of this jacket has full sleeves in length. It has a lapel style collar. At the front, there is buttoned breasted front shutting. It has a buckle belt at its waist. The stitching is supreme and the sleeves have folded cuffs with buttons. Overall, this jacket is very beautiful and very soft. Ben Affleck Live by Night Joe distressed jacket is obtainable in very cheap rates. It gives an elegant look in parties and also makes a handsome pair with a shirt and pant. It is very clamorous among peoples. The fare of these jackets is very deficient which amazing thing is for jacket lovers. 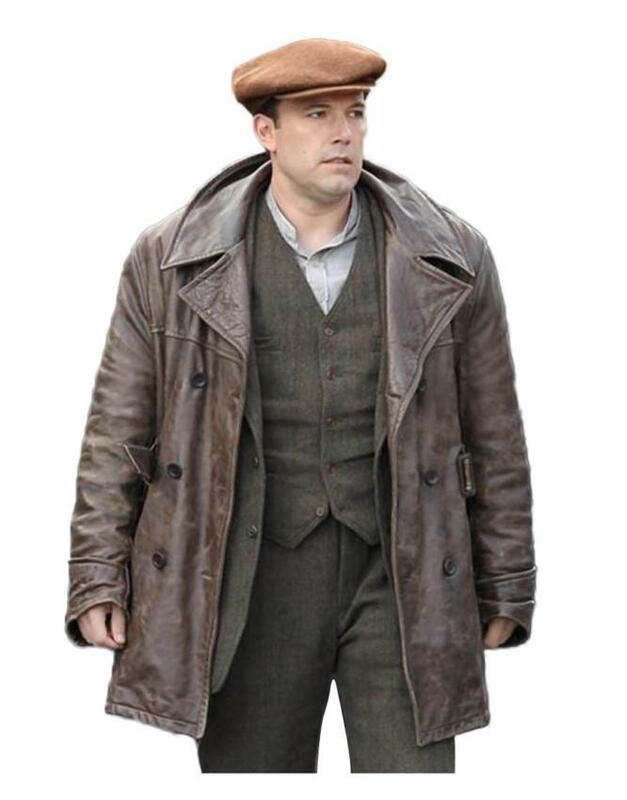 Live By Night Ben Affleck Brown Distressed Leather Jacket is in a supreme Quality, and accurate in size.